Don’t count out the Broncos! 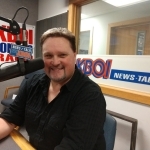 KBOI ENJOYS 43 YEARS OF BRONCO FOOTBALL! The first Saturday in May used to be special. Read the Mueller report for yourself HERE!